I, Janet, am now on an extended stay in Singapore with my daughter, Mina, and her lively family. I feel Hiroshi's presence very deeply and he visits me in dreams and with messages. I am profoundly grateful for the 40+ loving, adventurous years of life together with him filled with service. 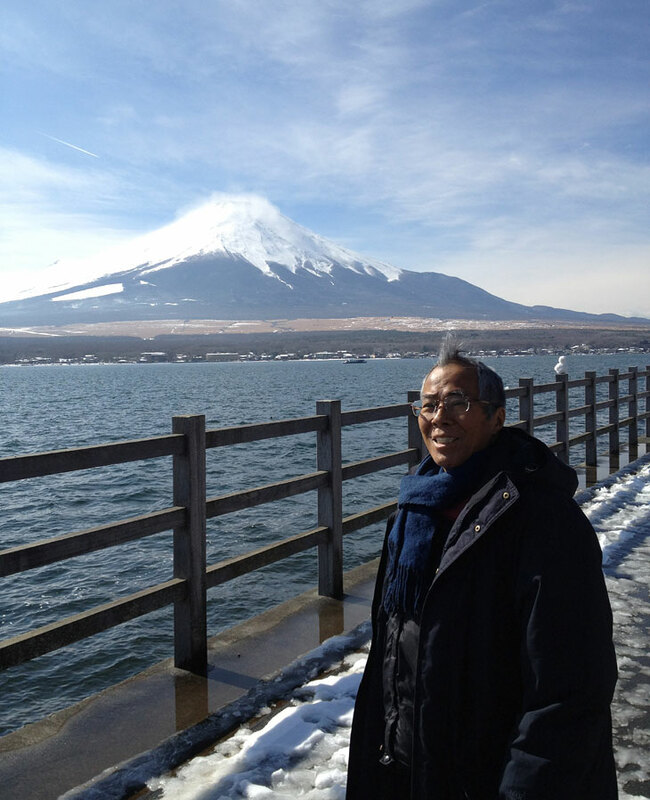 "Master Facilitator, Hiroshi Ohuchi of Japan passed away on February 14th. Hiroshi and his dear wife Janet helped spread TVP across Japan. In the past seven years they held dozens of workshops and facilitator programs, bringing hope, healing and joy to the Japanese people. Their joyful presentations were a model of excellence, in their workshops and their systematic approach to the Intro to TVP, Facilitator's Training and Mentoring of Facilitators. Hiroshi translated many of the TVP materials into Japanese. He was a renowned author, translator and college professor. Janet and Hiroshi's loving partnership was also a model of love, unity and cooperation to all who were in their presence." 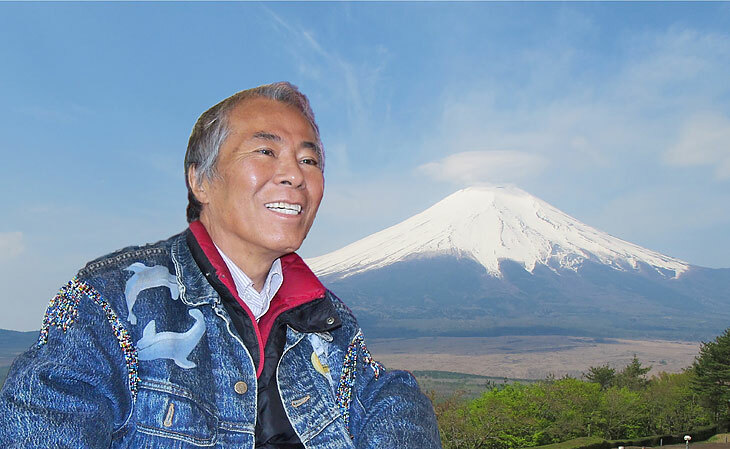 Hiroshi was a man committed to using his skills and abilities to bring understanding, healing and a sense of purpose to the Japanese people who were open to numerous different approaches to Truth, Love and Service. through translated books and workshops throughout the country. Hiroshi was a humble man with a dazzling smile and warm hugs. He taught by example and he lived a loving life and touched many hearts. He felt, after the completion of the translation of "A Course in Miracles" that his mission on earth was complete. At the same time he dearly adored life. The following are some thoughts in his own words and messages in remembrance of the life he lived and shared with you, the workshop participants and friends he loved so dearly. Question: What did you learn from the life-threatening experience in England this year? Hiroshi: While I was in the hospital bed in England, and going through those operations, there was Janet's dedication, and the kids' support and love, and my soul family's support -- some of them came to see me all the way to England, bringing some letters from people who come to our workshops. I was grateful to all the souls, almost countless souls I had met, some of whom did not necessarily understand me, some of whom attacked me. Including those. I felt peaceful and grateful. What I experienced then was this deep sense of connection and forgiveness. It's like there are layers and layers of realization, and in that sense, I realized there would be more and more moments like that for the rest of my life. Even though I had thought I had forgiven my self and others I realized that I could go more deeply and so I spent the time in bed forgiving with all my heart. We really don't know when it's time for me to go. But whenever it is, I feel my life is complete. I feel grateful to my partner Janet, who has such an innocent, unconditional trust in me, no matter what happens. I'm grateful to her. And my kids, Mina, Kai, Kiana--for the love they have for me, and have shown to me. Question: How do you want to be remembered when you do die? I want to be remembered as Hiro-chan, innocent Hiro-chan. The books I have translated will carry my name and all of that, which I also cherish. But as a human being, I am innocent Hiro-chan who is friends with many people. And by my family, my children, in addition to that, I want it to be remembered that I loved them unconditionally no matter what they did, or no matter what they didn't do. I accept that and I respect that. I just love them. That's how I feel. My parents left me that legacy, and that legacy I'd like to continue. Each soul has its mission, and when its mission is done, it's time for them to leave. Question: Do you know what you'd like on your tombstone? Yeah. "Here lies Hiro-chan, who, to the best of his ability, fulfilled his mission, and enjoyed this life tremendously. And who was blessed by many, many human souls, and by God and angels." Hello, dear heart, here is a brief note from me, and also a beautiful message from our Beloved Michael for Hiroshi. Please encourage Hiroshi to ask AA Michael to bring down into his earthly room the vibrational frequencies of his fifth dimensional personal pyramid of Light. It will comfort him and all of you as well. Or, if he is not able, you can ask for him. My heart aches for you and your family. Know that I am sending you all my deepest love and prayers. Beloved one, it is important that you have a clear understanding of the transition process, and so we will give you a brief recap of what occurs after a Soul such as you leaves the physical body. As an en-Lighten-ed and Self-aware Soul, fully conscious of Self, you will pass swiftly through the upper astral planes of consciousness and go immediately before your guardian council to review your past life, not a judgment, just a review to see what challenges and opportunities were met in a positive manner, with love and compassion, and which tasks were not completed and, therefore, will have to be addressed at a future time. Your aura tells your complete story and you have nothing to worry about, for everyone will be able to see the beauty, radiance and lightness of your Spirit-Self. Your form will be beautiful and perfect and you may appear to be any age or in any form you desire. You will have many choices to make after you complete the review process. You can go to the universities of learning in various star systems, you can serve in a multitude of capacities, you can enjoy the beauty of Creation and practice your creation skills or any variety of experiences too vast to outline here. Soul advancement is not as rapid in the higher realms as it is in the physical body, for you are aware of the universal laws and there are immediate results from your thoughts and actions. That is why everyone is so anxious to incarnate on the earthly plane, even though it is fraught with challenges, limitation, and often pain and suffering. Even though it may be difficult to believe, it is a wonderful opportunity and a great privilege to be embodied on planet Earth at this time of great transformation, and there are many Souls standing in the wings hoping to have an opportunity to return to Earth and be a part of this wondrous evolutionary process now in progress. Along with your willingness to come to Earth and to share your 'Light' in order to assist humanity and your planet, you were given an opportunity to embody as much of your Divine Self as you could contain and use; that is the Golden Promise that was made to you before you returned to Earth for this lifeﾕs experience. It was an unprecedented opportunity to integrate your God Consciousness and return to your true estate as a Being of Light. Beloved one, we would have you know you have fulfilled your Divine Mission beyond all expectations. You leave a legacy of brilliance behind you for your chosen countrymen/women, a path for them to follow and a clear vision of hope and inspiration. You have helped to plant the Seed Atoms for the new age of en-Lighten-ment called the Aquarian Ageﾐan age which will focus on the mental as well as the emotional aspects of spirituality. Therefore, Beloved One, if it is your desire, as you transcend this lifetime and leave your physical vessel behind, you will soon rejoin me and be a part of the Company of Angels who are preparing the way for the creation of the New Golden Galaxy. If it is your desire, you will not have to return to Earth, but fulfill your new galactic mission in the higher realms were we dwell. Well done, my brave one, we are awaiting the time when we can welcome you home. You are loved most profoundly. I AM ARCHANGEL MICHEL. We know that this is a difficult time for youﾑit is never easy to lose a loved one. But know that your beloved one is at peace and after a review of his life (not a judgment, just a review) he spent some time in what could be called a "Light Chamber" whereby he was infused with the Love/Light of the Creator to clear the imbalances in his auric field and help him return to balance and harmony within. He is now busy expanding and regaining his true nature. Envision him as he looked in his prime, for indeed that is the way he appears as he goes forth to his new home in the higher dimensions. We will help you to enclose the pain in a golden/pink sphere of love so that you many tuck it away in your heart--never forgotten--only the joyous memories will remain, the pain and suffering will be a faint memory. You and your husband are close soul companions, a group of 144 who externalized into your individualized consciousness at the same time. You have traveled together in many lifetimes, and agreed to support each other in this lifetime as you strive to regain self-mastery. You have agreed to play many roles for each other in order to assist in the return to balance and harmony in all facets of Being. If you so desire, you may connect with your beloved one through the stillness of your heart. His greatest desire is to work with and through you, and in that way you can evolve and move forward together. My heart feels like it is broken, and I can only imagine how devastated Janet and her family are at the thought of losing our beloved Hiroshi. I am hoping that after a mourning period, our brave and loving Janet will be able to pick up some of the pieces of their work and carry on; however, all of you, as followers are going to have to support her and help to bear the load. Hello, beloved one, there are no words to convey to you my deep sadness and yet, my joy for Hiroshi. You and your sweet family are the ones who need support at this time. Know that I am sending you waves of pure love from our Father/Mother God, and also waves of Violet Flame to help you heal your broken hearts. Beloved little sister, all who knew and loved the beautiful shining Soul called Hiroshi in this lifetime, will greatly mourn his passing from your midst, and this is understandable and appropriate. However, we would have you know that here in the higher realms of Light there is a great celebration going on, for one of our beloved brothers has returned and is once again in our midst. Envision him as the radiantly healthy person he was in his youth, with a perfect body and a shining countenance. There is no pain; his suffering is over, and he can now resume the higher and greater mission that has always been his destiny. Hiroshi is a master and his radiance and power are astounding now that he has "gathered" the many facets of his Higher Self back into his crystalline body of Light. Hiroshi came through the tunnel of rebirth fully aware, for he had no residual karma to hold him back. His awareness of all of you is sharp and clear. He asks you to not mourn for long, and he will help you ease the pain if you will spend this mourning in a celebration of his life and all the wondrous memories you created together. All of you who knew and loved him have the understanding that he is gone from your sight, but he will always be with you in Spirit. Ask our beloved God Mother to wrapped the pain you are feeling in a bubble of pink Love Light and then place it deep within your Sacred Heart. Gradually the pain will lesson; however, the memories and his love will remain bright and strong. The magnificent gift of wisdom teachings that Archangel Michael, his beloved messengers, Ronna and Hiroshi gave to the world will continue and grow beyond your wildest imaginings; the Seeds have been planted and now we ask all of you to nourish them and help them grow and spread the refined Light of the future around the world. Go inward, dear hearts, the warmth of Hiroshi's love joins with that of our Father/Mother God and is available to you all -- always. And so my precious sister, share this with your family and with all of those who loved and admired Hiroshi for the beautiful, shining Soul that he was and is. I am so very devastated to hear this news and my heart goes to you and Hiroshi. Somehow I feel that he is at peace because his soul has made that adjustment. We are praying for you both and holding you both very tenderly in our hearts. Sometimes words are so inadequate but Hiroshi is a true warrior for the Light and he will continue to serve the Light. My heart and prayers are with you and the family. We are holding Hiroshi's arisen soul in Light. Hiroshi is now shining in his body of Light. Where there is love there is no separation. I hold you in my heart and in my arms You are constantly in my thoughts. I greet you as an old brother and sister. Ever since I first met you and Janet, I have known in my heart that we had old, old connections. Our journey has separated us, sometimes in different countries, sometimes in different epochs. But when souls have kindled a flame the recognition is always there. We have worked together before and we will do so again. The spiritual knowledge and purpose that binds us will enable us to continue our journeys, although separate, so that our work for the Light is never held back, no matter what the outer circumstances of our lives may be. As souls we have chosen our path, and whilst the outer physical self may wonder and query as to how that life develops, the soul knows, the soul always knows. As humans we question so much, we become despondent if things don't turn out the way we want them to. All true spiritual teachers will tell us that each soul has a purpose and each soul makes the choice -- difficult as it may sometimes be to understand with our human mind. To have lived in the knowledge of one's spirituality is truly amazing and you, dear Hiroshi, are an amazing man. Your spirituality shines from your face, it lights you from within and it is this Light that enriches all those who know you. From you comes wisdom from the heart. It is the wisdom of all ages. Wherever your soul chooses to go, go forward with that courage and strength that is within you. Go forward with that inner knowing that your work is not finished, it cannot finish because you are a warrior for the Light. Your work continues, in whatever body you choose. It has been my joy and privilege to have rekindled that age-old connection that we have. I support your choice and am honoured to know you both and to part of your lives. This is but a dream and I know Hiroshi will be accompanying you to the final chapters, embodied or not. I still am asking our strong group to envision him well (as he is in Spirit) and accompany him on this journey as are you and your close knit family. The message is the same. There is no death. The Son of God is free. 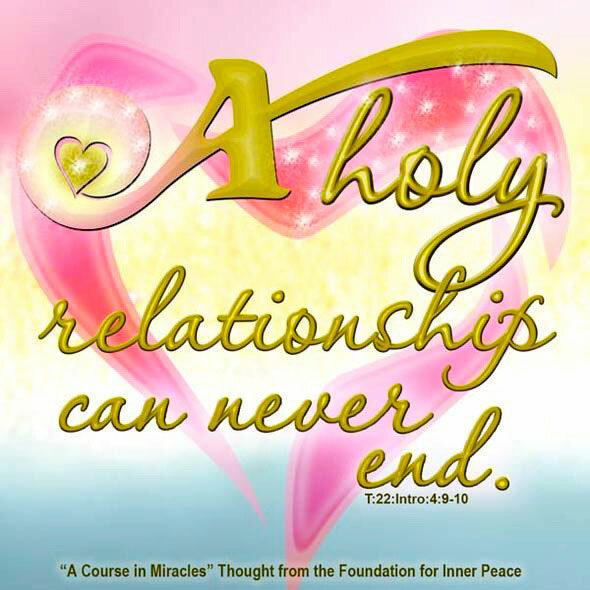 Your Holy relationship continues through every phase and acts as a beacon to all who witness your path. Hang onto each other and yes, Hiroshi is continuing to reach the Highest and to take us all with him. "Take us into your peace, Holy brother and bless us with your love." Your work continues as does your freedom. Whit and I hold your hands too and infuse you with our gratitude. I know that this splendid man is a treasure in this dream and one of the ones who chose to bring this Highest Message to the world. I love you two so much. We are holding thou both in our arms. Whit just looked over my shoulder and says his heart is also filled with Light for you. WE CONTINUE TO HOLD YOU BOTH AND YOUR FAMILY IN THE LIGHT SO THAT YOU CAN EXPERIENCE THE PEACE OF GOD NO MATTER WHAT IS HAPPENING IN YOUR OUTSIDE WORLD. What a journey of faith and also determination to pursue genuine healing. The joy and gratitude that is so vibrant in your life is a rare experience and is true quality of life, to which many can only aspire. May your sleep be deep, peaceful and healing. May your days be full of graceful activity. I am sending my heartfelt condolences to you and your family at the passing of your beloved Hiroshi. You both have been such an inspiration to so many through the love and unity you exemplified....His memory will live on in not only our hearts but in the actions of those whose lives he touched. Sending you love and prayers, Dara. (Five years ago at the 20th Anniversary celebration of TVP in Victoria, Canada...) Hiroshi was so healthy and he gave such a deeply thoughtful and illuminating talk on that occasion. My life has been enriched immeasurably by knowing you and spending time with you. From the moment I met you I saw your bright light of love illuminating all around you. It has been my privilege and honor to work with you in The Virtues Project, assisting others to fulfill their God-given potential. I will always remember my time with you in your lovely home and in Japan. Your grace, love, light, kindness, generosity, respect and joy brighten all who know you, and reaches those who don't. Our prayers and loving thoughts are with you now and always. Much love, Betsy and Pete. *Hiroshi, you and your family were a great source and example of spiritual strength for me during my turbulent time in Japan. Your kindness in opening your home to me has never been forgotten or equaled by anyone else since. You are truly a beautiful light in this world. I wish you no more pain. Please know that the love and light you shared with me have never left my life. I thank God that you passed through my life when you did. *I'm filled with gratitude that I got a chance to know you both. Your devotion to one another and to God have been awesome to witness. *Hiroshi was just a great spirit. It is hard to imagine Mt. Fuji without him-I am sure his beautiful mountain is weeping at the loss. Or perhaps he is now with the spirit of the mountain! *Hiroshi is our hero-what a warrior, teacher, professor, husband and friend. We are very lucky to have known him. *Your influence reaches to all corners of the Earth through TVP and all the great healing and loving service you have done over your lives Thank you for making our world a better place that is "best for everyone." *I came to have a deep respect and admiration for Hiroshi. I know he was a man deeply devoted to bringing love and peace into the world as his life's mission. He accomplished his work with a rare grace and humility that inspired everyone who met him. *Hiroshi has always been shining in my heart and soul with his joyful and compassionate energy. Now I realize that everything he gave me is here, alive and will truly continue to empower my life forever. *Hiroshi has shared the truth of the universe with us through his workshops. The love that Hiroshi gave us has united our minds. Many people are sending love and light and praying for the "Best for All Beings" now in Japan. And from 6 year old Anna who participated in Hiroshi's funeral and cremation: "Hiroshi turned to shine". I woke up this morning early as I had to drive to Tokyo for business. On my clean desk in the hallway was a postcard with dolphins on it. I wish I could share the pain you are going through right now. I'm with you to carry whatever you're meant to carry as your loving partner." No one in the household knew anything about where the card came from. Kiana says that she cleared off the desk before she went to bed in the early hours of the morning. Many of you have sent Hiroshi beautiful and heartfelt letters over the years. He kept them all in golden boxes he made himself. Due to the sensitive nature of many of the letters we have decided to burn them all in a ceremony of gratitude and transformation in June. Please rest assured that no one will read your letters and that they will be offered to spirit. Janet was just sent a beautiful and powerful video taken eight days before Hiroshi's passing. It was so meaningful to her and her family. Please, if you have any photos, videos or audio recordings of Hiroshi she would appreciate it very much if you would share them. They, of course, are her treasures You can send them either to her email account or to Janet OHUCHI, 1 Draycott Park, 04-00, Singapore, Singapore 259385. Thank you very much. Hiroshi and Kai taking a walk, 2/7/13...7 days before Hiroshi's death. © since 2008 Hiroshi Ouchi（大内　博）. All rights reserved.